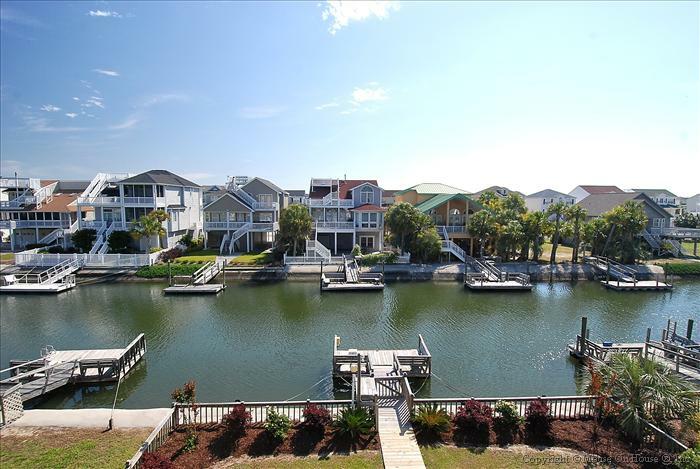 Well maintained canal home with 4 bedrooms and 5 bathrooms with a private boat dock. Ceiling fans in every bedroom and throughout home. This canal home has everything you need to make your vacation a time to remember. Just pull your boat up to your private dock after a day on the water. Enjoy the views from the decks. Separate den for the children to use. You will return to this wonderful home year after year. Other Amenities Include: beautiful landscaping, washer/dryer, dishwasher, microwave, 2 DVD players, 3 flat panel cable televisions, wireless internet access. Private floating dock, hot and cold outside shower, picnic table, charcoal grill, covered and sun decks. No Smoking, No Pets. Sleeps 12 in the following bedding configuration: Queen, Queen, Queen, Double/Double, Q sleeper sofa. All bed and bath linens will be provided with the rental. Beds will be made upon your arrival! Love this house! Great location and very comfortable for our traveling party. Will definitely stay here again!